Whether you add a spoonful to your tea, drizzle some over oatmeal, or use it as a sugar substitute, honey is an indispensably sweet staple in most kitchens. You guys know I love it. But, if you’re used to buying honey that comes in the cute plastic bear bottle (my hand is raised), you’re not getting the best quality honey. If you’ve never tasted Really Raw Honey, you don’t know how honey is meant to taste. This unstrained, raw honey is the good stuff! 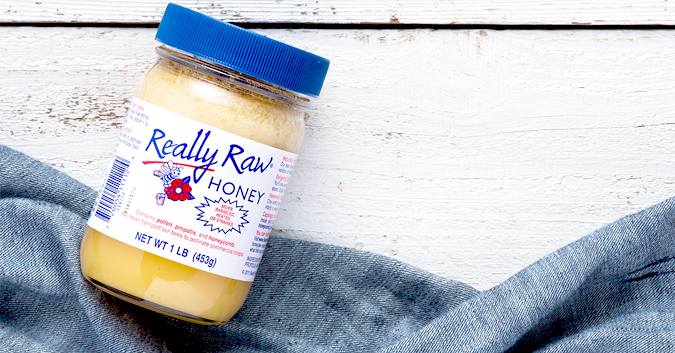 Full of honeycomb, propolis, and pollen, raw, organic, and non-GMO, every spoonful of Really Raw Honey contains natural goodness. Plus, it delivers plenty of sweetness without the immediate blood sugar spike from refined sugar, making it a healthier choice for satisfying a sweet tooth. Which makes me a happy gal because I love me some sweet! Ready to try a spoonful for yourself? Well, you’re in luck, because for a limited time, Thrive Market is offering all new customers a free jar of Really Raw Honey. Existing customers can get in on the fun, too—they’ll score a free jar with their next purchase over $50!